U-Fit Trade Windows Ltd has over 25 years’ experience in the window industry. We manufacture (and install) windows, single doors, double doors, patio doors and conservatories for the DIY, trade and domestic markets in Nottingham, Derby, Leicester Birmingham and the surrounding areas. All of our products are manufactured from the highest quality PVC-u profiles, which are tested to British Standards BS 2782 and extruded to conform with BS 7413 and BBA M.O.A.T. 17. This is made complete with the use of high quality, high security locking mechanisms for our windows and claw locks to our doors. 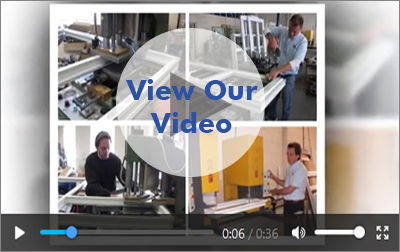 Each frame we produce is made bespoke to your required size and specification. At U-Fit Trade Windows Ltd, we pride ourselves on the quality of service offered to all customers, regardless of the size of their order. We treat single window orders exactly the same as a full house full. All products are available in white, light oak and rosewood. (other colours are available upon request). Should you wish to take advantage of our installation service, you can feel safe in the knowledge that we are a FENSA registered company (certificate no. 20919) ensuring that current building regulations are fully adhered to.